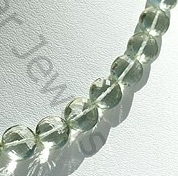 Are you looking for a right manufacturer for faceted coin shape? 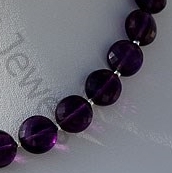 Well, your search is surely going to end at Ratna Sagar Jewels, the largest manufacturer and supplier of gemstone. 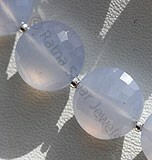 Ratana Sagar has created a niche for itself with its quality gems, unique and innovative design. 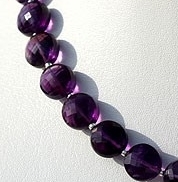 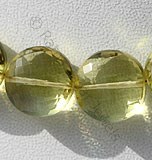 Increase your business by purchasing the faceted coin shape gemstone beads from us at a very affordable price. 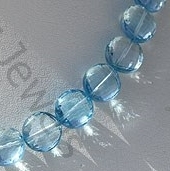 The perfection with which the gemstone has been cut and faceted is commendable. 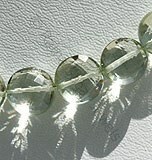 Believe us, it takes a lot of effort to make coin shape. 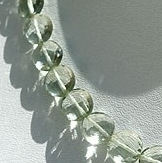 The marvelous design is the hard work of hundreds of highly skilled artisans cutting and shaping the faceted coin shape manually. 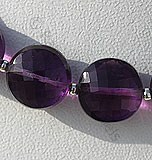 Semi precious and precious gemstones are used for making this attractive shape. 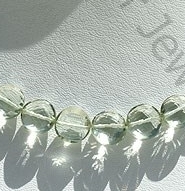 You can choose from a variety of gemstones including: Chalcedony, Amethyst, Lemon Quartz, Green Amethyst and Blue Topaz and get it customized in the faceted coin shape. 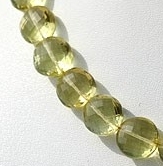 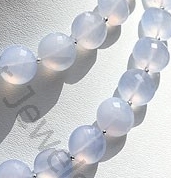 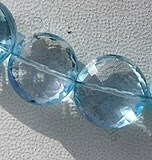 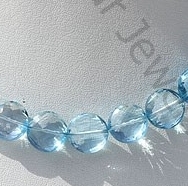 Don’t forget to take a look at our Chalcedony faceted coin beads, it is hugely popular with our customers. 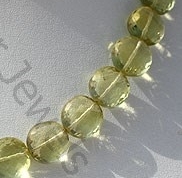 Browse through our wide range of faceted coin gemstones and purchase the one of your choice with a simple click of button. 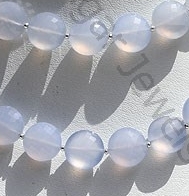 Natural Chalcedony Gemstone is a Cryptocrystalline composed of minerals quartz, possess property of semi-transparent and are available in sea-blue color with micro flower cut, Coin Shape. 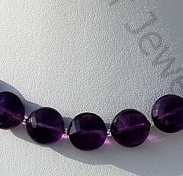 Amethyst Gemstone is a variety of the natural mineral quartz, possess property of transparent with vitreous luster and are available in deep purple color with micro cut, Coin Shape. 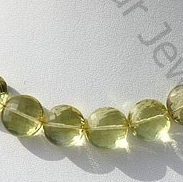 Green Amethyst Gemstone is a variety of mineral quartz, which is heated to enhance color, possess property of transparent with vitreous luster and are available in green color with micro cut, Coin Shape. 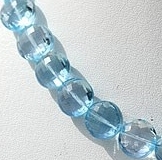 Blue Topaz Gemstone is irradiated and heat treated with colorless natural transparent Topaz to produce a more desired blue, with vitreous luster and are available with sky blue color in micro cut, Coin Shape.